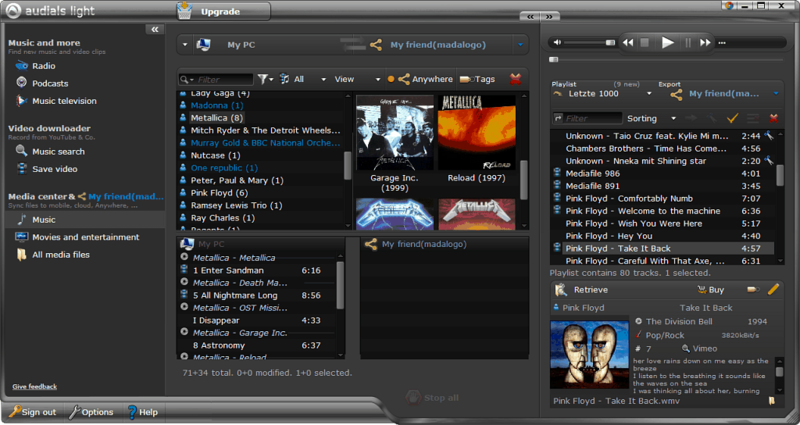 AudialsOne is one the most complete media solution available today. 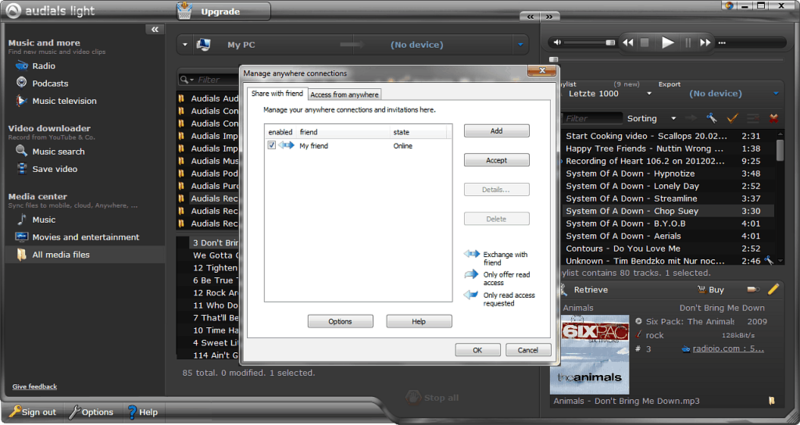 We have earlier reviewed AudialsOne 8 and have seen what it is capable of. Now, we have received some inside information from some trusted sources about a new technology the developers of AudialsOne, RapidSolution Software AG, are working on. Rumor is the developers will title it “Audials Anywhere“. Audials Anywhere will allow users to get access to their personal media collection from anywhere. Users will be able to easily share music, videos and film with their family and best friends through the upcoming version. Users will not need to configure any complex file server networks. They’ll just need to simply invite their family members using Audials Anywhere to share their media collection with them. 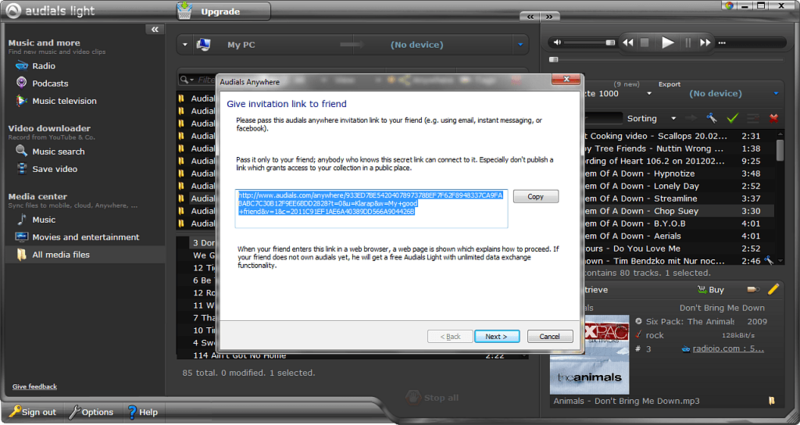 Thus, Audials Anywhere will let users easily turn their PC in a “Personal Media Cloud“. 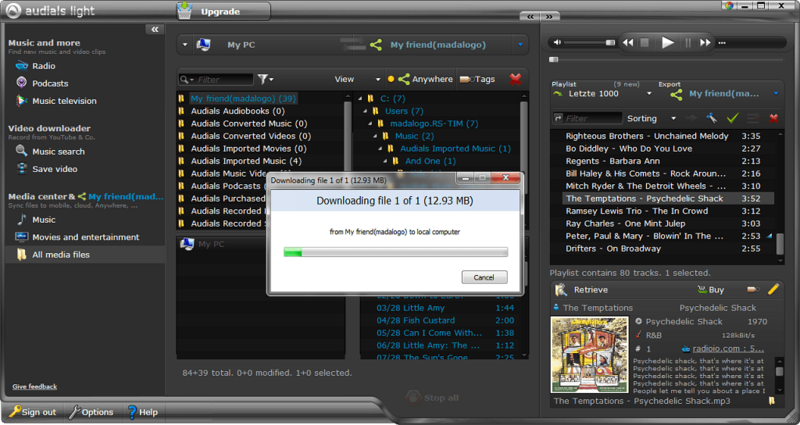 Audials Anywhere Beta will soon be released together with the new freeware Audials Light. At this moment, we don’t have much information about Audials Light or more details or screenshots about Audials Anywhere. We’ll update as soon as we have more details about it! Check back again. Here’s some update for you all! We’ve just got our hands on some leaked screenshots of Audials Light (the freeware version of Audials Anywhere) showcasing how it works. Click on the images to see a larger image. Share your thoughts with us and tell us what you think about the upcoming software. Next story Windows 8 Consumer Preview Product Key, How To Get It?